Atec’s modular intermediate test cells allow for supreme versatility and latest features. Maintenance, sustainment, configuration and low-cost are the bywords of our tarmac test cells. 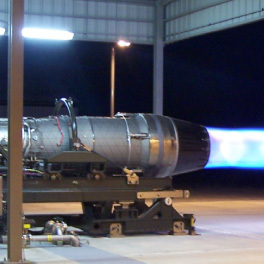 Over the last 40 years the A/M37T-20 jet engine test system as innovated by Atec and Celtech has become a proven test bed for over 15 engines: F100, F101, F110, F119, F124, F125, F404, F414, J79, J85, TF30, TF33, TF34, TFE731 . The A/M37T-21 (METS) is accepted for use by all versions of the T56. Recent modernizations address adaptions for testing the AE2100, 501D, T53, PT6, T700, CT7 and many other turboprop engines. Atec is a USAF Worldwide Contractor for Hush Houses, Control Systems, Thrust Stands, Test Cells, and Civil Engineering. Vital Link, Inc. is now a member of the Atec network of companies. Their experience with hush houses, noise suppressors, run-up enclosures and related subsystems is top rank. Their field support and repair teams, as well as their large scale steel fabrication are world renowned. The thrust stand has unique features, such as the elimination of side tie-down restraints, which in addition to posing a tripping hazard, also require NDI and maintenance. The old T20 thrust stand made it extremely difficult to access the underside of the engine where most modules reside. Atec corrected this by providing a cut-out access in the lower frame that allows a floor jack to move, raise and lower heavy engine modules without restriction. Our T-20, T-21 and T-24/33 portable test cells are the U.S. military’s fielded standards. T-20C testing is now proven for Naval and other uses of F404 and F414 engines as a low cost alternative to the JETI/SETI/TPTI systems. Lastly, the Deadman IBeams and the Bridle Restraints of past (older) systems has been eliminated. Instead, Atec Thrust Stands utilize distributed load across 6 Clevises affixed to the concrete pad. The Fuel System, which is modular such that each major sub system resides on its own skid (including pump, filter, flowmeter) eliminates the safety hazards of having all of these components crowded on the underside of a single trailer. Additionally, the maintenance is greatly improved as each item can be easily serviced. For example, Atec’s design of the filter housing for a trailer prevents spillage because it is a vertical filter housing on its own skid. The top cover and filter can be removed easily without spills. The Cabin is a durable and ergonomic data acquisition and storage unit complete with Atec’s own state-of-the-art ADAQ™ Data Acquisition System. Atec assembly personnel, inspectors and technicians complete all the wiring in the cabin in-house. This saves our customers the time and money of having to hire a limited field crew. This cabin, along with ADAQ™ software and Atec’s Throttle, are all standard products for Atec. EDACS (for F404/F414 and F110), ENDAS II, FADAS, JETI/SETI/TPTI, PC4, and other systems can also be impressively hosted. The CASP™ Air Start System, which replaces the obsolete A/M32-60 cart, supplies cold air instead of hot turbine exhaust, thus improving the life of the start components of the engine. It has redundant air compressors inside. The A/M37T-20C Jet Engine Stand is the preferred choice of the United States Air Force for testing all series of the F100, F110, F119, F124, J79, J85, TF30, TF33, TF34, F404, F414 and TFE 731 turbojet engines. We pride ourselves on producing a reliable, high quality product used worldwide to perform post maintenance and repair tests. The durability of the T20 equipment has led to long life at bases worldwide. As maintenance and repairs have proceeded, obsolete items sometimes have been replaced with newer technology to repair these valuable test systems and keep them in service for the warfighter. Product modernization reviews are ongoing. A thorough review of the T-20C with application to USAF has advanced many new improvements, while preserving compatibility and configuration. 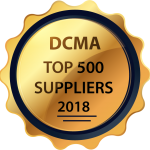 We offer service contracts to ensure your equipment is maintained properly and will work with your technical staff to answer any questions and provide technical support. High thrust users can benefit from combined Celtech and Atec upgrades. The Celtech A/M37T-21D Mobile Turboprop Engine Test Stand (METS) is accepted for use by the USAF, USN, Allies, Fleets & MROs for testing all series of the T56. Recent modernizations address adaptations for testing the AE2100, 501D, T53, PT6, CT7 and many other turboprop engines. 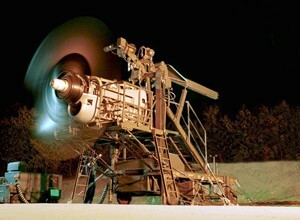 Celtech is proud to produce this most widely used turboprop engine test stand in the world. Repair programs for the T21 have implemented necessary replacements for unprocurable obsolete components, leading to technology refreshment of the test systems over the last 35 years. The T-21D is your convenient “prop on” test stand. Thorough reviews of the T21 by Atec and Celtech since our 2013 merger have advanced many new improvements, while preserving compatibility and configuration. Modern upgrade models of many turboprop planes are supported for engine and propeller test by today’s T21D (METS). Our modern T21D is now configurable for prop-on testing of many additional turboprop engines, see full listing on Celtech’s website. As T21 worldwide repairs and support contractor to USAF, many upgrades (ECs) can be provided to USAF users through Atec. Celtech’s customers are assured strengthened after sales support in spare parts and service from our new Atec resources. Commercial fleets and maintainers that are showing renewed interest in the T-56 family of engines and planes are also interested in T21 “prop on” testing. We offer service contracts to ensure your equipment is maintained properly and will work with your technical staff to answer any questions and provide technical support. Celtech’s products and services benefit from an impressive engine support ancestry involving Space Corp., Page Avjet, ASE and now, Atec. The A/E37T-24 (Navy) and A/E37T-33 (Army) and their current derivatives comprise an intermediate Turboshaft Engine Test Stand family. They utilize automated data acquisition, instrumentation and air dynamometer technology to test and verify flight readiness of Turboshaft engines removed from aircraft for maintenance. The T-16 adds an enclosure/shelter to the system for repeat, weather shielded requirements. FEDS offers other accessories and customizations. The T-24/33/16/FEDS system was designed for out-of-airframe testing of U.S. Military helicopter and turboprop fixed wing engines. Celtech’s T-24 Systems will test T53, T55, T56, T58, T63, T64, T400/PT6, T700, and other TurboShaft engines. Celtech companies have been a provider of T-16, T-24, T-33 and FEDS equipment for over 20 years, and maintain full documentation for these complex, derivative configurations. Additionally, following our involvement with Atec, these systems have gotten technology refreshment reviews to offer existing users and new buyers compatible, modern solutions for future needs. 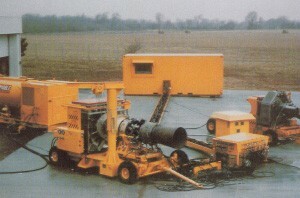 Atec also has unique experience in application of these subject air dynos for test of 501 industrial version turbines. Celtech also provides T-21 test stands for T56/AE2100 and other engines, along with other turboshaft engine and T21 prop-on test stands. These reviews have involved discussions and inspections in Huntsville, Sugar Land, Corpus Christi, Albuquerque, N. Boston, Vermont, Lakehurst, Robins and other locations to insure broad input. Atec is now performing an engineering study for a coming major upgrade of the world’s largest commercial test facility for these engines and utilizing these air dynos. Comprehensive data is maintained for continued manufacturing, support, repair and compatible upgrade of the T-24 network of turboshaft test systems.